I took Luke for a long walk, then worked out at CFS, quickly returned home and showered, returned to CFS and coached the 8:45, 10, and Community WODs, returned home and ate a quick meal, and then led a Running Clinic from 1 to 4. To say that I’m exhausted is an understatement. I completed today’s programmed WOD as, you know, I follow the workouts that I program. Begin by completing 3 burpees. At the top of each even-numbered minute, complete 3 burpees. This was a tremendous amount of fun! My strategy was to complete no more than 10 and no less than 5 reps at a time — unless the set had to be interrupted to complete 3 burpees. This strategy worked very well. Wall balls were the most challenging activity. No surprises there. 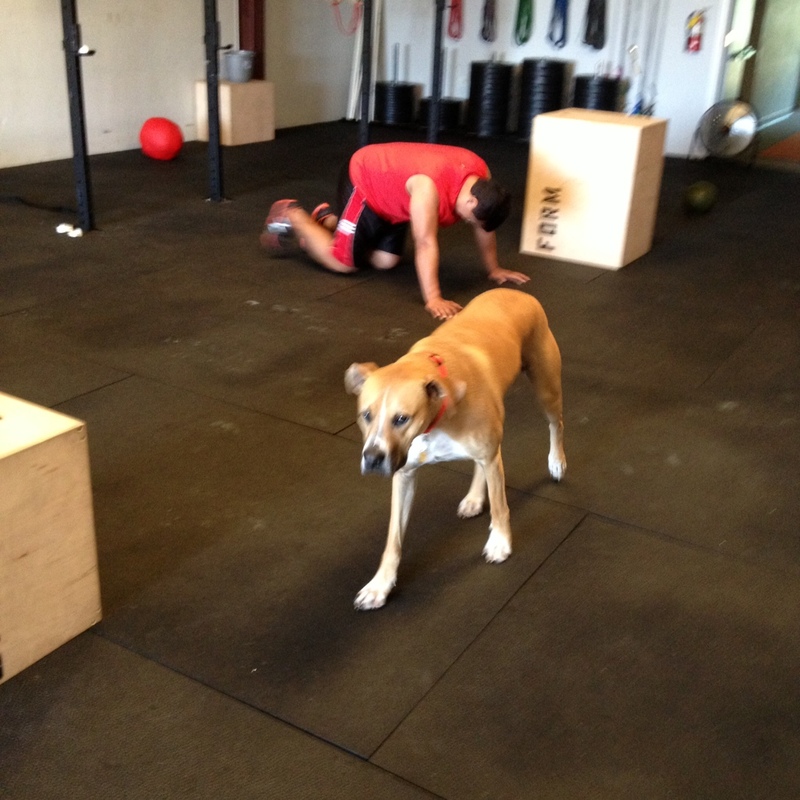 I had only completed 3 box jumps when at the 18-minute mark I had to stop and complete 3 burpees. Oh, well! I completed 60 unbroken doubles unders and had to will myself to stop to complete 3 last burpees at the 20-minute mark. I completed the last 40 double unders unbroken. My time was 20:53. I only had to complete 33 burpees. I love burpees!